Egglia: the Legend of the Redcap Game Director Shinichi Kameoka and Background Designer Koji Tsuda talk about their adorable mobile JRPG. Shinichi Kameoka is well known for the Mana series, but is currently working on his own franchise, launched with Egglia: Legend of the Redcap, which is currently available for iOS and Android. 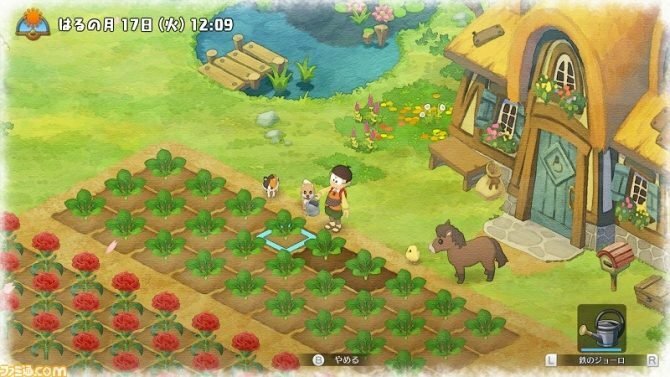 In order to learn more about this charming mobile JRPG, we visited the headquarters of Kameoka-san’s Kichijoji-based studio in Tokyo, and had an extensive chat with him and Co-Founder Koji Tsuda, who worked on Egglia as a background designer. According to Kameoka-san, the game has already a steady fanbase in Japan, with many gamers enjoying the game quite a lot. Incidentally, he would really like to release the game on consoles, and especially the Nintendo Switch is a really interesting platform for him, but the final word about that belongs to the publisher DMM. That’s why, for now, nothing has been decided. Assuming that a console release would be possible, Kameoka-san would like to adjust the game to better fit the target platforms and include the game’s second chapter, that was released in Japan on October 5th. Even beyond the first game, Kameoka-san is imagining many ways to expand Egglia as an IP, but first and foremost the game has to sell. When the studio initially released the game, they weren’t even positive that they would be able to launch the second chapter. Now they’re beyond that, but they have not decided the future of the franchise just yet. 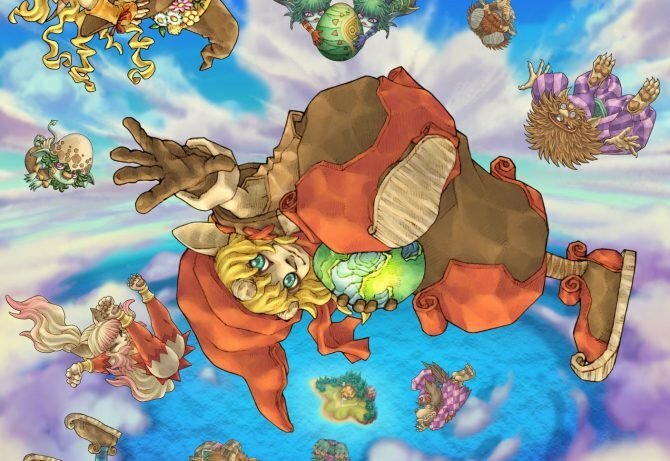 A peculiar element of Egglia is that not only it’s a fully buy-to-play title, not based on microtransactions like most mobile games, but its features and scope go way beyond what you’d expect from a game on iOS and Android. Kameoka-san explained this by mentioning that his way of thinking and developing is not based on the platform a game is going to launch on. 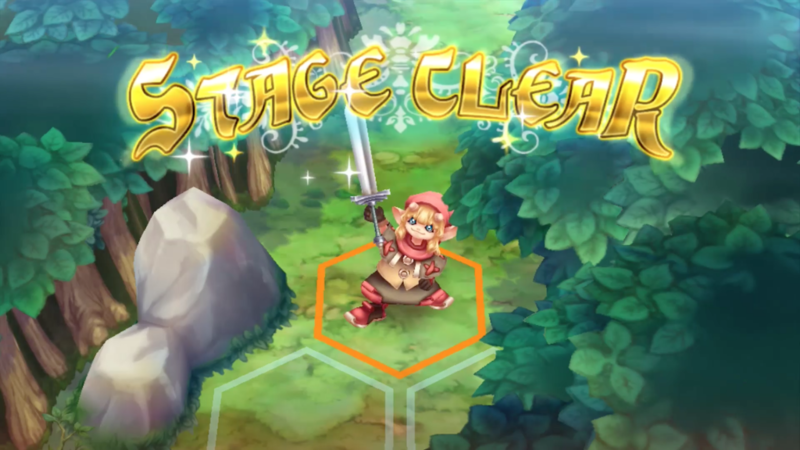 When the studio started thinking about Egglia, the idea was to create an indie JRPG, then DMM offered to publish the game, so they began to tune it even more towards smartphones. That being said, Kameoka-san’s personal development style is closer to that of consoles, because he likes to launch full games instead of continuously updating them after release. Tsuda-san doesn’t really change the way he works depending on the platform, as nowadays smartphones and consoles aren’t that far apart, unless you want to make really high-spec games. For the type of games Brownies creates, Kameoka-san believes that having a one-time price of admission is the best option. If he had to create free-to-play games with microtransactions, they wouldn’t just need to be fun, but a different type of know-how would be required to make them work. Brownies doesn’t really have that know-how, so they prefer to sell games as a finished product for a fixed price. That being said, this was the first game released on smart devices by Kameoka-san. If he had to work on another game on the same platform, he feels that more research would be required to make this model work even better. Tsuda-san also added that since his previous game was the free-to-play RPG Seventh Rebirth, he really had to think hard about how to entice customers to pay for a full game on smart devices. 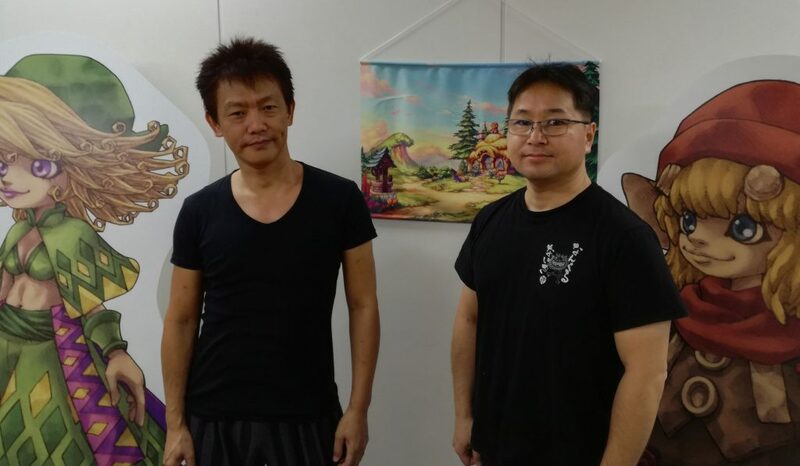 The first time Kameoka-san and Tsuda-san worked together was on Seiken Densetsu 3 (the third game of the Mana series that was never released in the west). After that, they left Square Enix and created Magical Vacation for GameBoy Advance, which was their first original IP and still retained a similar art style. 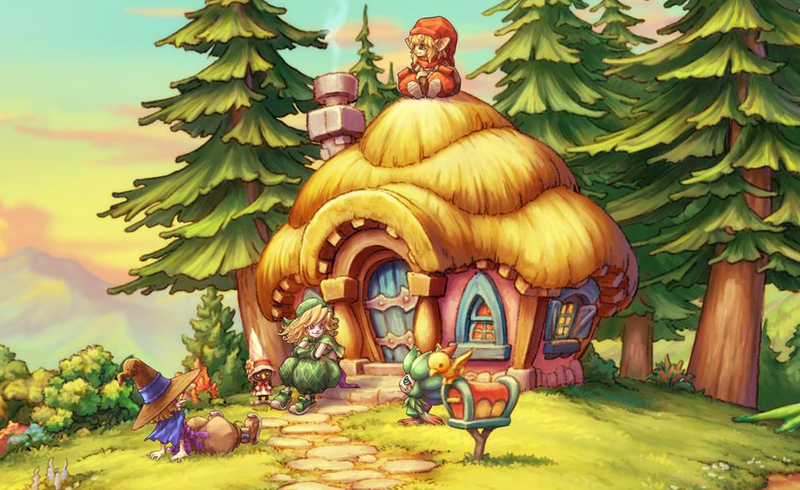 Egglia is the first title after that game on which they’re back together creating something new, so it was natural for them to go back to the fairytale-like art style they always used as a team. Looking at the future, if they’ll be working together on another game, it’ll probably have a similar atmosphere and art style, but Kameoka-san would like to challenge a more realistic setting at some point. Tsuda-san is of a similar mind, and while the style might be similar, he would like to add original elements like a different setting as well. A relevant inspiration for Egglia was the Finnish cartoon Moomins, which involves characters living in a village, and the events happening around them. Kameoka-san worked on Egglia as both Game Director and Art Director, and this is the first time he covers both roles. He basically oversaw the whole world of the game. This was a very interesting process for him, but also very challenging and tiring. As a Director, one of the major challenges was to actually communicate to his developers what he wanted them to do. He had to learn that at times words aren’t enough to convey that, and how to make sure that the developers around him understood what he expected from them. Now that he leads his own independent studio, he has a lot more freedom than with his previous company under Nintendo’s umbrella, even if he still had a considerable amount of freedom back then as well. Having experienced working as an employee for Square Enix, leading a Studio under Nintendo, and being at the helm of his own independent company, being indie is definitely his favorite option. 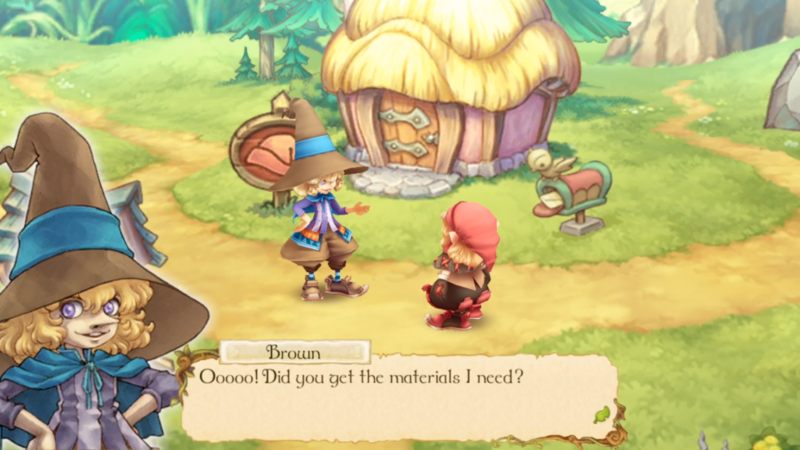 Egglia‘s main character, Chabo the redcap, has been in Kameoka-san’s mind for over ten years. He was not created for the game, but it was the other way around, with Egglia being the chance to give Chabo life. The game’s localized version released very quickly after the Japanese launch, and this is thanks to the quality and involvement of the localization studio that was hired for the job. Another factor was that Kameoka-san wanted to release the game in English since the beginning, so it was programmed to make the localization work easier and faster. As an interesting note of color, Kameoka-san believes that Tsuda-san’s art is top-notch. At times it’s so good that it becomes too good, and Kameoka-san needs to put the foot down. One example is related to the shops, that were initially designed as extremely detailed. With that kind of artwork, the player wouldn’t have known where to find the items to buy, and the designs had to be simplified, while still remaining interesting. 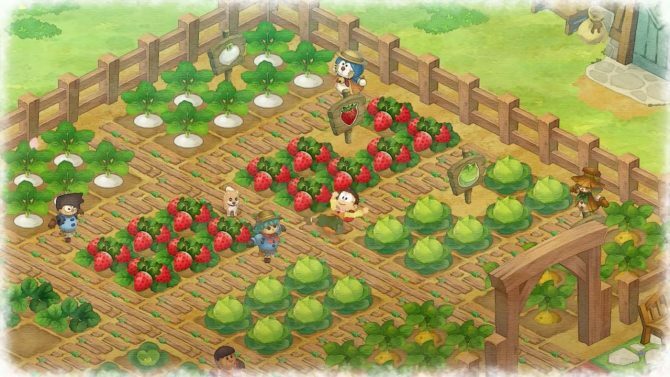 While most think of Kameoka-san as an RPG designer, he actually tends to like simulation games, which is why Egglia itself has a lot of simulation elements incorporated into the design. Interestingly, his first JRPG was Dragon Quest II, and that’s what got him into the genre. During the past three years, he has been enjoying puzzle game Threes by Sirvo. Tsuda-san remembers the first Dragon Quest fondly, and for him, what really made the game special was the feeling of traveling and adventuring alone in a large and breathing world, since there was no help from the internet or guidebooks. Recently, he has enjoyed Vanillaware’s Odin Sphere, thanks to its really interesting art style, the music, and the way everything comes together to create a unique title. At the moment, the scenario for the full story of Egglia is pretty much complete, and it includes three chapters. Yet, Kameoka-san would also like to tackle what happened before the game, for instance explaining how Chabo lost his horns. There is a lot more he’d like to do even after the three chapters are complete. Egglia: Legend of the Redcap can be downloaded on iOS or Android for $9.99. As you may have noticed from the headline, this is only the first part of our interview. The next part, which will come soon, will introduce several young developers of the Brownies team. We don’t get to hear from young Japanese developers very often, so you should definitely stay tuned. Mana artist and Egglia Director Shinichi Kameoka mentioned that his return to console development will be announced earlier than expected.